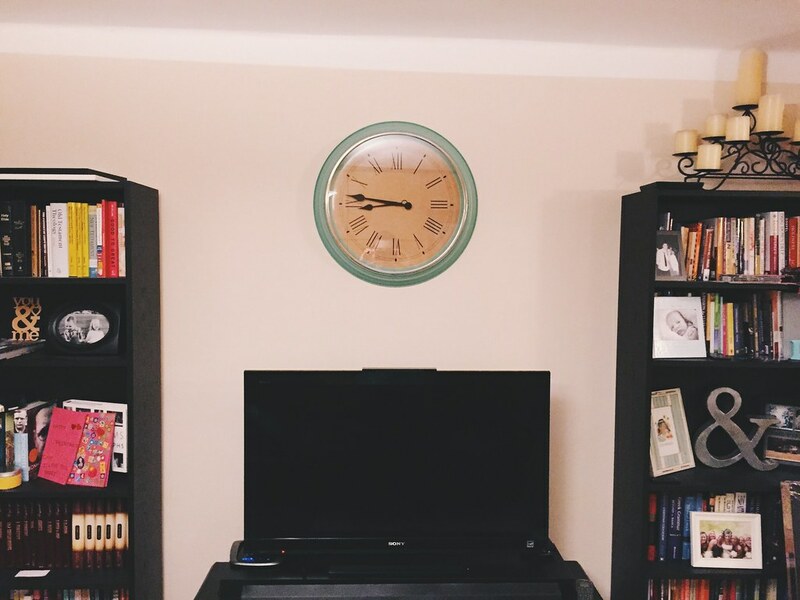 Thanks to our friend Greg who lives and serves in Poland, we now have our nice big clock hanging up in our living room. You would think that I, as the man of the house, would be able to hang a clock on my own. I would say I probably could’ve done it, but we have never actually tried drilling in to the concrete walls before and because I was unsure I enlisted Greg’s assistances (and tools!) to help me. He came over at 8am because he was going to be in our part of town anyway and in about 10 minutes we had this new clock hung and looking good! So there you have it–our first hole in the wall. After hanging the clock I headed into the Josiah Venture office for our big international team meeting. It’s been a few weeks since I’ve been able to be there because of sickness, but I was so encouraged by the verses we looked at this morning. Dave, who was teaching, talked about having a “zero tolerance” for anxiousness. I really like that thought. The Apostle Paul is not saying you can be anxious sometimes, but “do not be anxious about anything.” Anything! I started to think how often I am anxious in my heart. Whether I’m driving the car, thinking about my family, thinking about ministry, or whatever I’m probably anxious a thousand times more than I realize. But God’s Word provides the solution to our sinful anxiety. “…but in everything by prayer and supplication with thanksgiving let your requests be made known to God.” Pray! Cast all our worries on the Lord! Be thankful! And what happens? “The peace of God…will guard your hearts and your minds in Christ Jesus.” Amazing. It’s a simple truth, but it’s impact is far reaching. I love the simplicity and I love that when we follow God’s plan in His Word that He brings peace to our worried hearts. That’s our Tuesday. Goodnight for now.